We live in a weary age of fable. The latest Hollywood mythology is entitled "Truth." But the film is actually a fictionalized story about how CBS News super-anchor Dan Rather and his "60 Minutes" producer supposedly were railroaded by corporate and right-wing interests into resigning. In reality, an internal investigation by CBS found that Rather and his "60 Minutes" team -- just weeks before the 2004 election -- had failed to properly vet documents of dubious authenticity asserting that a young George W. Bush had shirked his duty as a Texas Air National Guard pilot. The fabulist movie comes on the heels of the Benghazi investigations. An email introduced last month at a House Benghazi committee hearing indicated that former Secretary of State Hillary Clinton -- just hours after the attacks on the consulate that left four Americans dead -- knew almost immediately that an "al Qaeda-like group" had carried out the killings. 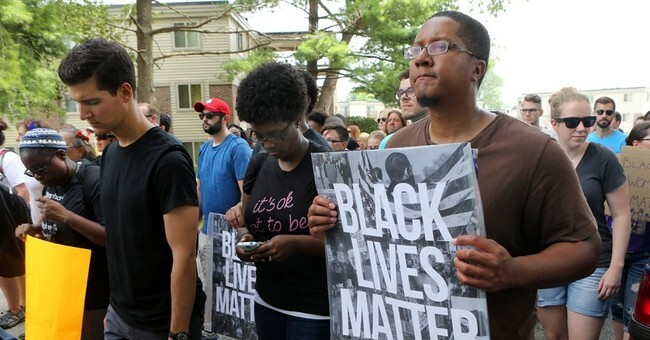 The Black Lives Matter movement grew out of the fatal shooting of Michael Brown by Officer Darren Wilson in Ferguson, Missouri. The protestors' signature slogan, "Hands up, don't shoot," evolved from the belief that Brown raised his hands after Wilson had fired the first shot and told the officer, "I don't have a gun, stop shooting" in the seconds before his death. Ahmed claimed that he was a young inventor and was just showing off his creation. He became a cause celebre -- an iconic victim of Texas-style anti-Islamic bigotry. President Obama invited him to the White House. Silicon Valley's zillionaire techies pronounced him a budding genius. The "60 Minutes" memos about Bush's Air National Guard service were never authenticated. Everyone now rejects the myth that the Benghazi attack was a result of a video. Investigators proved that Michael Brown was not executed by Officer Wilson. Ahmed was neither a young prodigy nor a victim of bias. But the legends are created and persist because they further progressive agendas -- and the thousands of prestigious and lucrative careers invested in them. "Noble lies" alter our very language through made-up words and euphemisms. In our world of fable, there can be no such people as "illegal aliens" who broke federal laws by entering the United States. "Workplace violence" is how the Obama administration described the Fort Hood shootings, rather than calling it terrorism. American servicemen who shoot and die in Iraq are not supposed to be called "combat soldiers." The enlightened ends of seeking racial and religious tolerance, equality of opportunity and political accountability are never advanced by the illiberal means of lying. What makes this 2016 election so unpredictable are fed-up voters -- in other words, Americans who finally are becoming tired of being lied to.